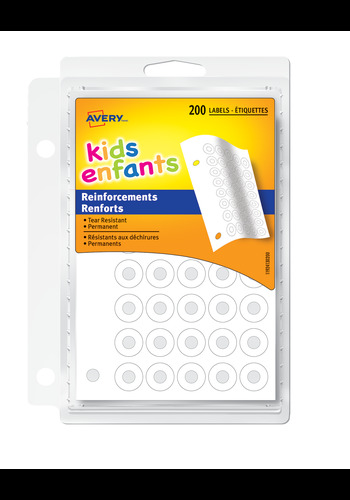 These white Reinforcement Labels are designed to strengthen and repair punched holes in papers. The labels come packaged in a resealable plastic container with a binder clip for easy storage in a three-ring binder. These white Reinforcement Labels are designed to strengthen and repair punched holes in papers. The labels come packaged in a resealable plastic container with a binder clip for easy storage in a three-ring binder. Apply the reinforcements to your standard-size punched holes to provide a durable border that resists tearing.